Germicidal units have special lamps that emit UV (Ultra-Violet) at 253.7nm (nanometers). The radiation has the power to inactivate microorganisms by attacking their DNA structure preventing any further reproduction. 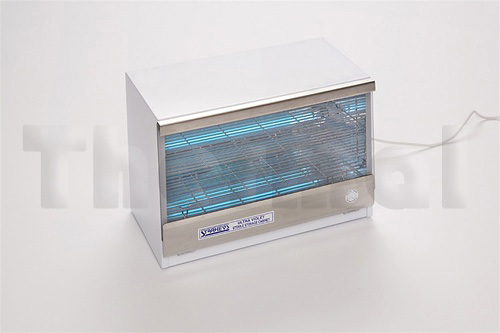 UV at this wavelength destroys 99.9% of bacteria, mould spores, algae, viruses and yeast. Utilised in a cabinet format and more commonly, as a special lamp fitting, fitted in cool rooms. 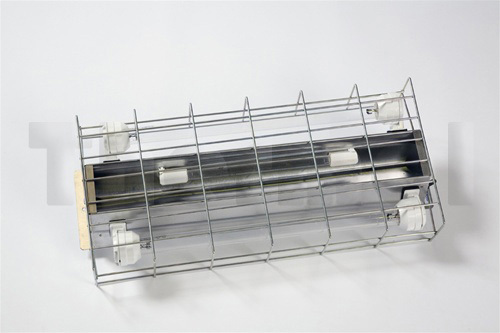 A germicidal lamp used in cool rooms can keep micro-organisms in check and prevent food from spoiling early. Cabinet designed for the safe and sterile storage of instruments and other items. 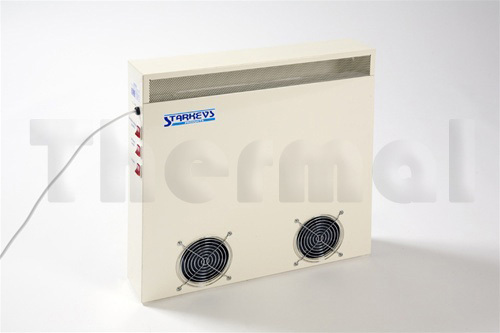 Produces clean, sterile air for use in kindergartens, waiting rooms, hospitals etc. Can be switched between ozone and germicidal.